Home Comics Guardians of the Galaxy Vol. 2 has officially begun filming! 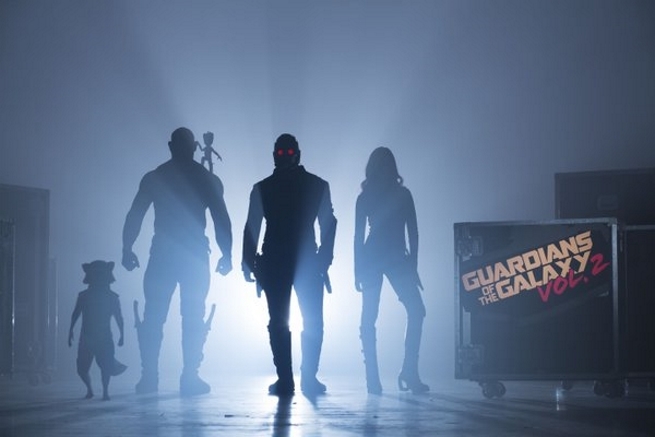 Looks like fans of Marvel Studios‘ superb 2014 space adventure that is “Guardians of the Galaxy” are going to get more updates from here on out, as director James Gunn has officially tweeted that the sequel “Guardians of the Galaxy Vol. 2” has begun principal photography… With most of the cast from the first film returning and a couple of new faces joining! With the tweet below, Gunn embedded the first cast photo seeing the return of Chris Pratt as Star-Lord, Zoe Saldana as Gamora, Dave Bautista as Drax the Destroyer, Vin Diesel voicing Baby Groot, and Bradley Cooper as the wise cracking Rocket Raccoon! Gunn was also quick to point out that the new faces joining the film are familiar to the audience, most notably action star and Hollywood legend Kurt Russell among the new blood coming to the cosmic side of the Marvel Cinematic Universe! Guardians of the Galaxy Vol. 2 will be released on May 5, 2017!